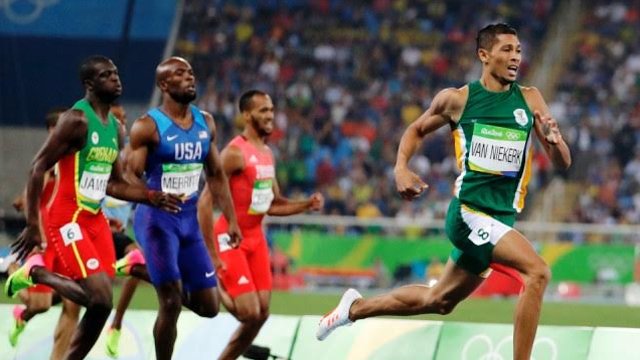 RIO, BRAZIL (Aug. 18, 2016) — South Africa’s Wayde Van Niekerk stunned the Olympic Stadium in Rio on Sunday night, as he smashed the 400-meter world record. The 24-year-old Cape Town runner gave a blistering performance from lane eight, with a time of 43.03, breaking US Star Michael Johnson’s 17-year record. 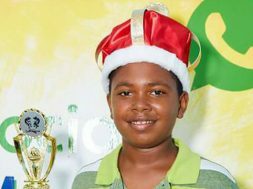 While the crowd packed inside the stadium chanting the name of their new hero, his biggest fan was among them – a 74-year-old great grandmother, who is also his coach. None of it could have been possible without her support. 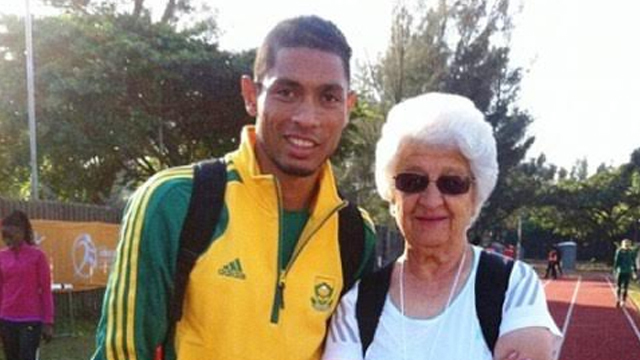 Niekerk was quick to pay tribute to the white-haired coach, who helped him to get there. 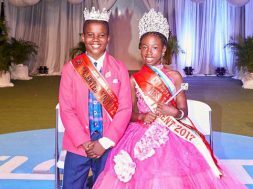 Known affectionately as Ans Tannie, or Auntie Tannie, Mrs. Botha, who is originally from the country now known as Namibia, doesn’t take her duties towards her young protégée lightly. 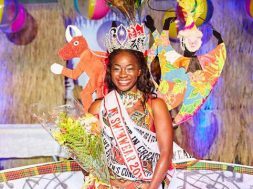 “I wouldn’t say I’m afraid – but I have such a big responsibility to get this athlete to develop to his full potential,” she said. Asked about her approach to coaching, Botha said rather than being star-struck by superstars such as Usain Bolt, she has learned from them – and even stole some coaching ideas. 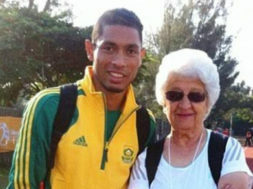 Van Niekerk is the first athlete to have run 100 meters in under 10 seconds, the 200 meters in under 20 seconds, and the 400 meters in under 44 seconds.